The tourism organization had worked with Zeno since late 2015. NEW YORK: Destination Canada has renewed its deal with Zeno Group, extending a contract dating to late 2015 to help the commission promote Canadian tourism to the U.S. leisure market. The organization, formerly known as the Canadian Tourism Commission, renewed the contract last year guaranteeing the work through December 31, 2019, according to Foreign Agents Registration Act filings. The deal requires the DJE Holdings agency to provide media relations supporting travel to Canada; strategic planning for communications support for paid campaigns; and events management, according to the filing. The financial terms of the original agreement have not changed, with Zeno earning a monthly retainer of $37,100 Canadian dollars per month for its work. 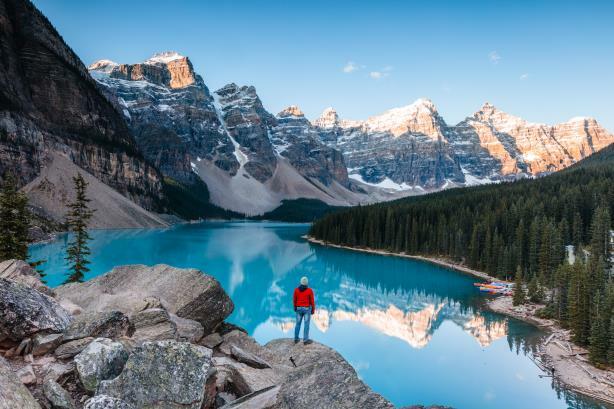 In the first six months of last year, tourism spending in Canada jumped 5.7% compared with a year earlier to $43.8 billion, with spending up 6.4% from domestic travelers and 3.2% from international visitors, according to Innovation, Science, and Economic Development Canada. Both Zeno and Destination Canada declined to comment about the filing. Zeno won Agency of the Year last Thursday at the PRWeek Awards U.S. 2019 in New York, with judges citing the firm posting its ninth consecutive year of double-digit growth last year.